to becoming a certified case manager. An ideal that most of us believe in and want to live by. I had been a nurse for six years and I loved my job. There’s nothing that brings me more joy than knowing I am making a difference and helping those in need. I prided myself on helping people and the thought of leaving bedside nursing often ended with “I’m afraid I wouldn’t have that same impact on a phone line between myself and a patient.” Still, with the satisfaction of working in the hospital, I was curious and wanted to try something different, something new. Moving into the case management world of an insurance company is a scary step for someone with the title of Registered Nurse. Passion trumped fear. I took the step and made a choice. I entered the world of Case Management. A year after settling into the case management role, I can vividly remember how someone told me I was working for the devil. 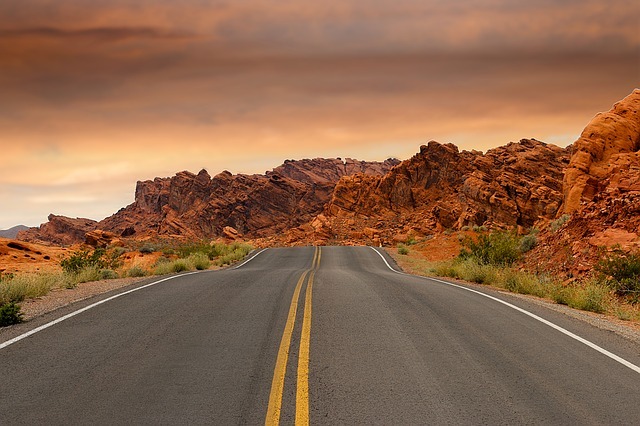 But that did not stop me from doing what I love, rather, I opened my eyes to how case management and the insurance company aren’t the devils and how so much good can come from case management. It made me realize the limitless doors for growth and development that this move had opened for me. My knowledge base grew beyond my specialized NICU nurse role. Five happy years in the case management world, I realized that even though I loved the position I was in, I felt I wanted more, I needed an edge. The desire for an edge brought me new challenges and experiences. You’re used to taking exams as a professional, and as you know, each test is slightly different. 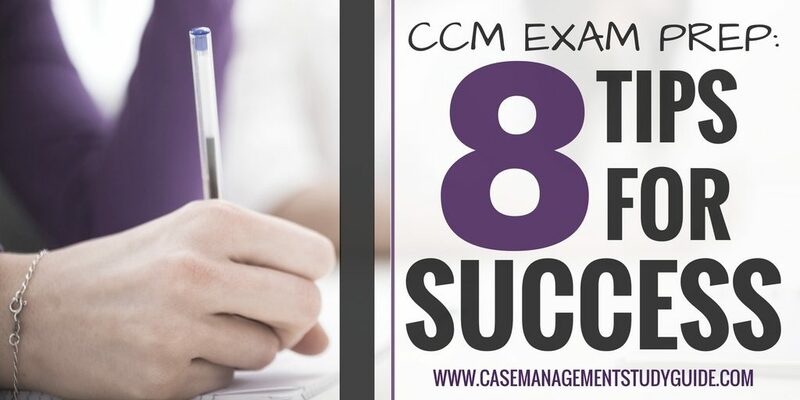 Today, I’d like to go over the layout for the CCM Exam Prep and offer 8 Tips For Success to help you prepare. When I began studying I didn’t know where to begin. I started by looking at CCMC’s website. 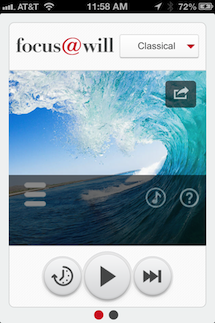 They have a lot of valuable information, but it is not easy to find everything you are looking for in one spot. Here is a summary of the information you need to know when preparing for the exam. The CCM Exam is administered three times a year in April, August, and December. The application window opens five months before the exam and remains open for three months. The CCM exam is administered at Prometric test centers. After being approved by CCMC to sit for the exam you will receive information to contact Prometric to schedule your exam date. Quick Tip: As soon as you get your authorization from CCMC to sit for the exam, be sure to contact Prometric to get the test date of your choice, as some centers fill up fast! In order to sit for the CCM exam, you must meet eligibility criteria. Take a look at this post for specific eligibility information. 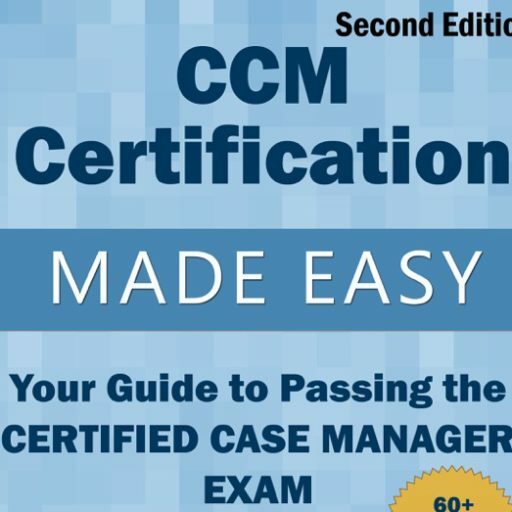 According to CCMC, “The CCM exam is practice-based, meaning all questions are based on knowledge that an experienced case manager should know and understand. There is not any course or education required to take the exam or to prepare for the exam”. The CCM exam was updated in August 2016, make sure you have the updated study materials. Plan study time according to the number of questions on the exam. Look at the number of questions in each domain and plan study time accordingly. A broad general knowledge is more important than memorizing facts. Have a general knowledge of the items in each domain. Here is a list of the domains. Know the Case Manager Philosophy and ensure your answers align with it. Study until you understand the information well enough to teach someone about it (especially the information you are not familiar with). When you understand the information that well, it is a good sign! Exam questions are direct. There are no “all of the above” or “none of the above,” questions. Answer questions according to how Case Managers, in general, would answer, not how it is done at your place of employment. Breathe! When you get to the exam, write “BREATHE” at the top of your scratch paper, and look at it when you are feeling overwhelmed. Hopefully, this helps you have an idea of what to expect on the exam. If you are looking for study materials, the CCM Study Guide along with the Online Study Course is sure to help you feel confident and ready to take the exam. I also offer a webinar on Study Strategies for the CCM and Test Taking Strategies for the CCM. To be notified of the next session and to receive more valuable information to help you pass the CCM Exam, click on the blue tab to sign up for my email updates. Over the last few weeks, we’ve been talking about how amazing becoming a certified case manager is. We’ve gone over how your career will grow, your earnings will increase, and how more employment opportunities await certified case managers. We’ve even talked about the great conferences to attend! So, you’ve been reading about case management and have decided it is a career move you’d love to pursue. Let’s go over the details of eligibility. As our world continues to change, the demand for patient-centered healthcare is increasing rapidly. As a result, the need for professional case managers has grown substantially. The Commission for Case Manager Certification has heeded this need by changing the eligibility criteria for case managers seeking board certification. These changes give much better – qualified professionals the opportunity to take their career to the next level. According to the CCM Certification Guide, there are 3 areas of qualification applicants must meet to be eligible to take the exam. Meet the specific licensure or education requirements. Qualify within one of CCMC’s employment category experience categories. Be of good moral character, consistent with the CCMC Code of Professional Conduct.